Sparesbox is a proud Australian stockist of GME UHF radios and GME radio accessories. One of Australia's most trusted names in radio communications, every GME UHF radio has the proven pedigree and build quality to ensure the clearest communication in Australia's harshest conditions. Plus, you can now shop GME Afterpay through Sparesbox, so you can enjoy your new radio right away! No country has allowed GME to flourish quite like the land down under. Born and bred out of Australia's rural conditions in the 1950's, GME have since risen to become a world-renowned name in radio-communication technology, thanks to their GME UHF catalogue, which you can shop using GME Afterpay on Sparesbox. From their first range of 477MHz radios, to the groundbreakingly tough GME TX4500 range, GME UHF radio solutions have played a major role in how rural Aussies’ safely and efficiently conduct their business. Whether on the farm, the highway, or the worksite, you’ll be in good hands with your new GME UHF radio! Why Should I Choose a GME UHF Radio? Now one of Australia's most famous and well-respected suppliers of UHF radios, the GME UHF radio range is your go-to when it comes to commercial radio technology. GME UHF radios and GME antennas have been trusted by state and national emergency services, the Royal Flying Doctor service, and the rural fire brigades for decades. The quality control of every GME UHF radio is vigorously maintained from its very conception, all the way to its arrival on your doorstep. GME's entire range of GME UHF radios, antennas, and accessories has been carefully engineered, developed, and manufactured by leading experts down under. This ensures the very best in clear communication, build quality, and usability, guaranteeing that all GME UCF radios all excel under Australian working conditions. Sparesbox carries a massive range of GME UHF radios and GME antennas, all of which confirm GME's famous reputation for build quality. Our most sought-after radio range, the GME UHF radios and radio kits, come with everything you need to mount, install, and operate your radio for the clearest communication possible over great distances. 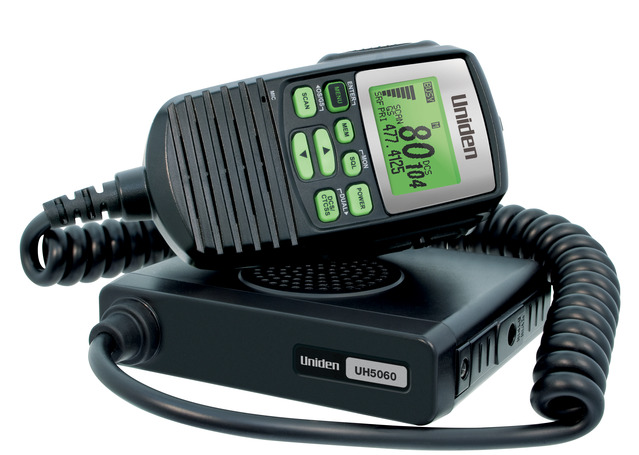 These GME UHF radios are available in both handheld and mounted varieties, and there is a GME UHF radio to suit just about every budget, job, and range requirement. Sparesbox also carries a great supplemental range of GME UHF radio accessories, which includes GME antennas, power supply accessories, and mounting accessories. You can make purchases up to 1k through GME Afterpay!